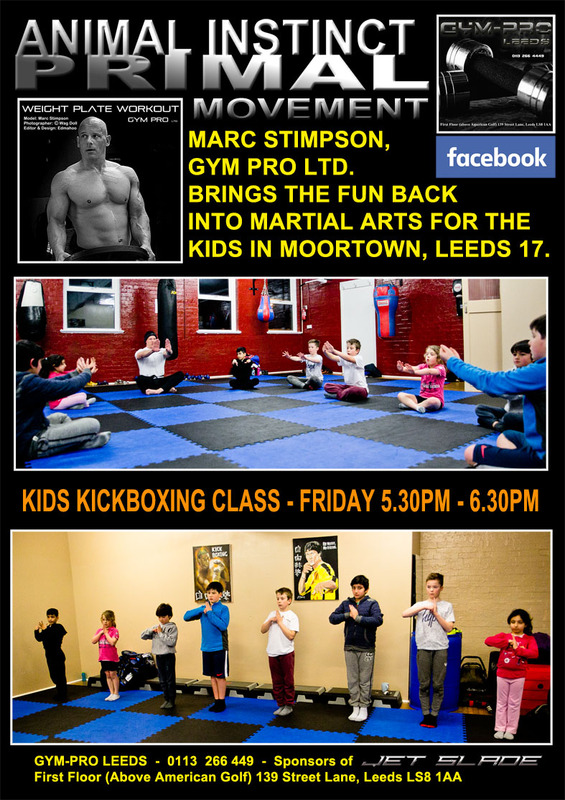 Marc Stimpson Brings The Fun Back into Martial Arts for Kids! 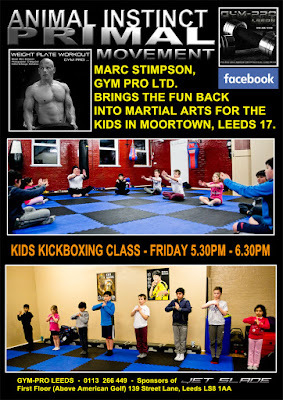 (the founder of Leeds Freestyle Kickboxing). Gym Pro is where the cast and director Edmahoo get to rehearse their fight choreography and action scenes. 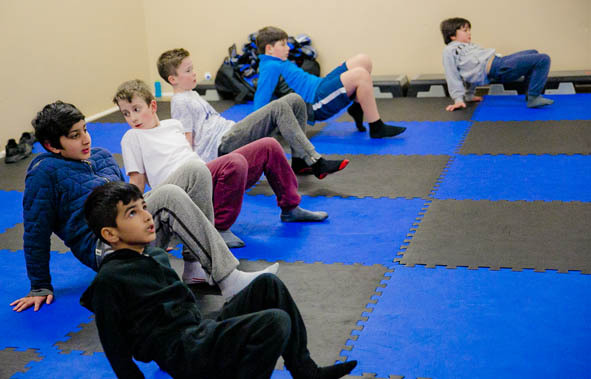 Martial Arts, Boxing, Sport and Physical Science. 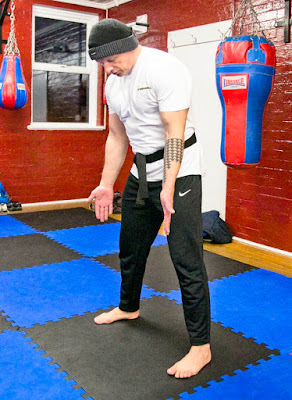 that martial arts should be practical and work! 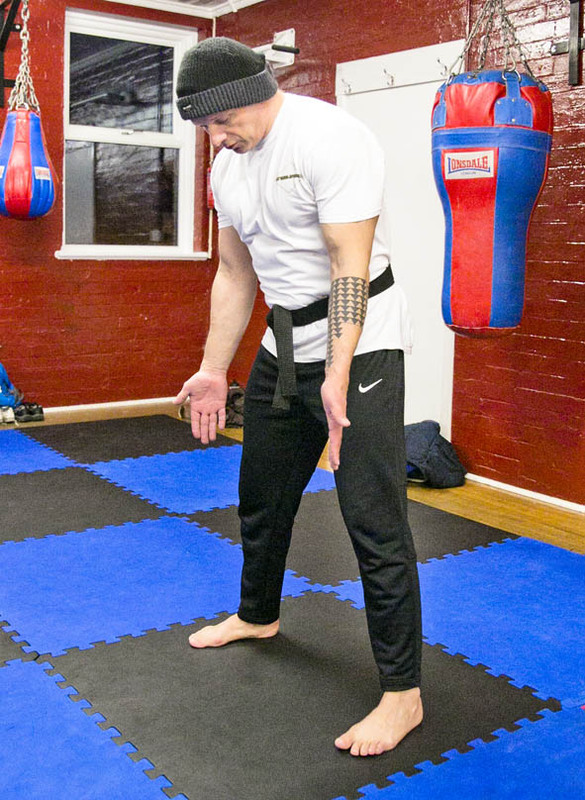 and respect that every martial artist should have. So what is this ingenious new technique? 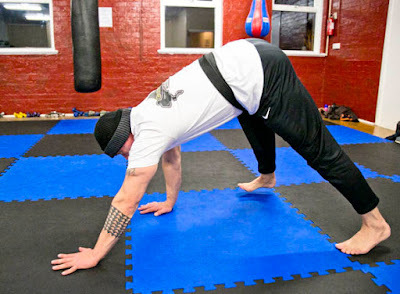 example of a Primal Movement. naturally building strength, flexibility and your core at the same time. when their arms start raising to answer his questions. 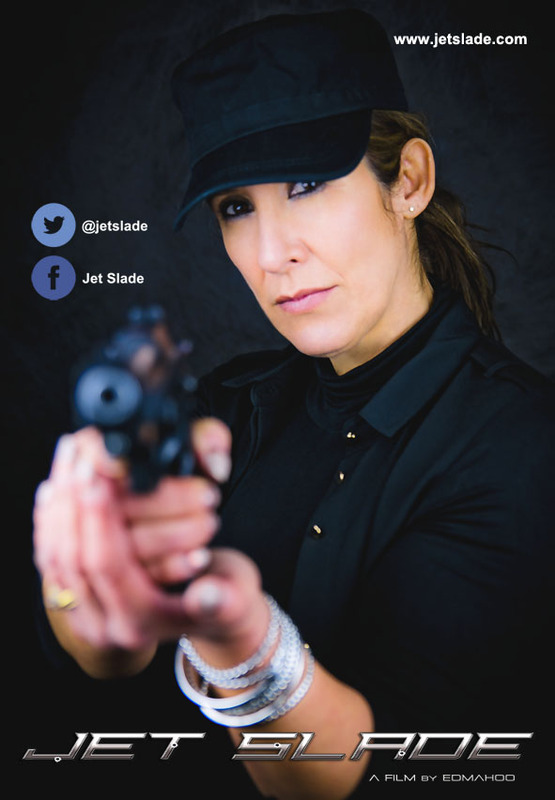 on the link below, and look out for more posts and news updates about our film. With Jet Slade kicking into gear for 2016 for the finale, rehearsals start again in March. 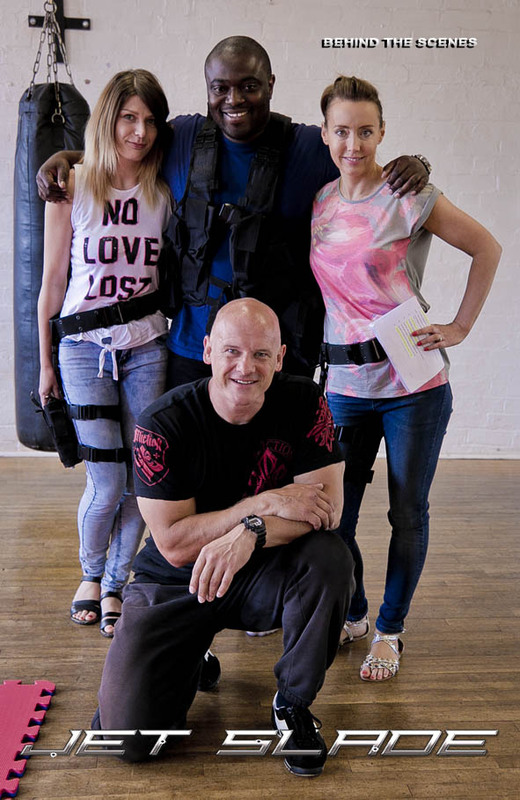 and casting new members to complete his action packed thriller! (Click on her name to follow her on Twitter). 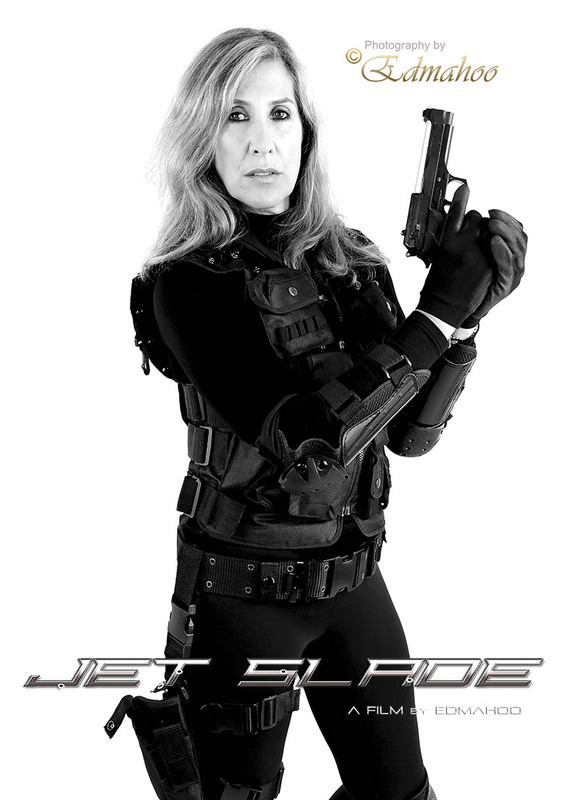 to be a Chief Slade Enforcer and has what it takes to be a tough leader. 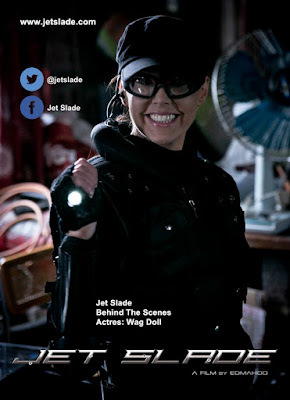 and loyal agents 'Jet' Slade. 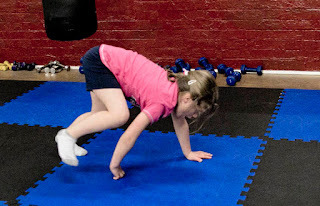 is used to and jumped at the challenge. and catch up with family and close friends which is very important to her. and walk her dog Tilly in the country side. A keen cyclist, Roch likes to get out and about touring England and Spain. achievements, and that was to run in the London Marathon. to working with her in the up and coming next few weeks. "Welcome to our world Rochelle Goldman". 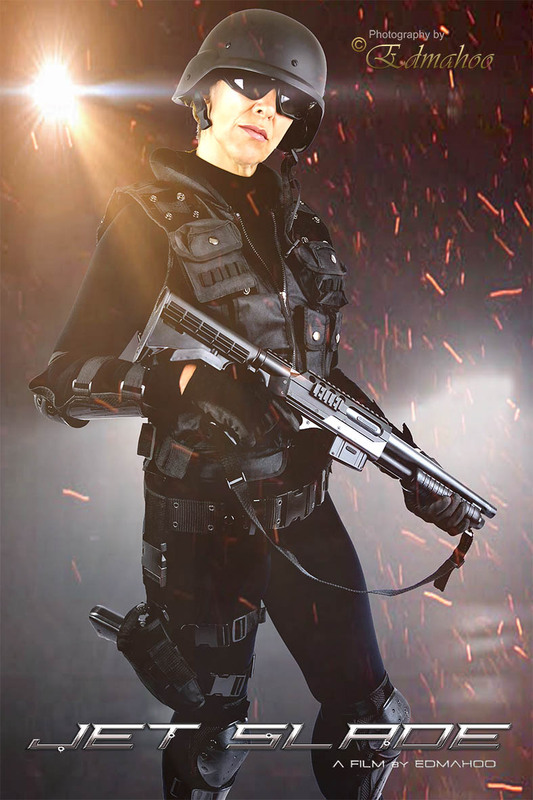 Rochelle Goldman as Chief Slade Enforcer. 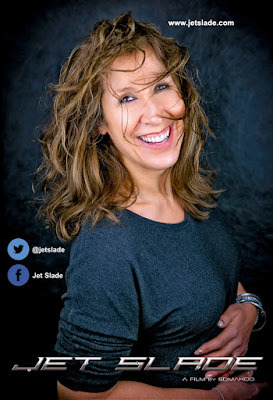 Look out for more exciting news from Jet Slade. If you still haven't seen our trailer yet, click on the link below. 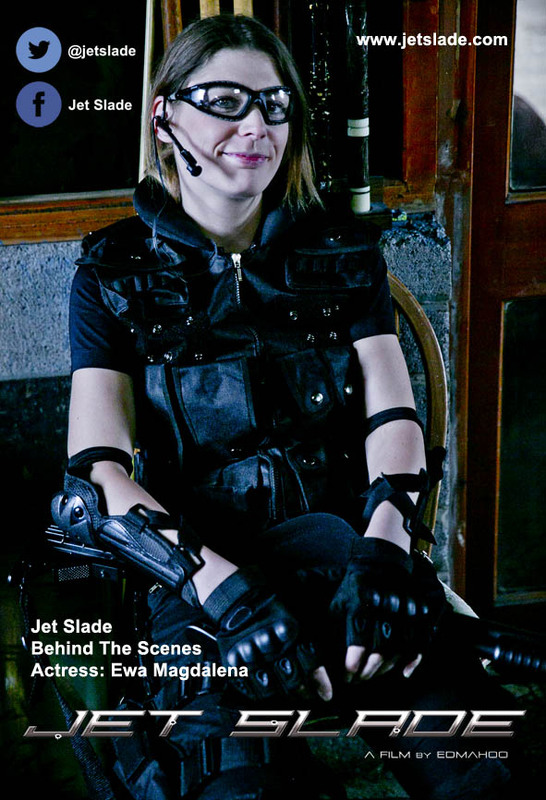 Just a few 'Behind The Scenes' images of some of the cast on the set of Jet Slade. cause as it's for 'York Special Baby Care Unit' a charity run organisation. There is also a 'York Special Baby Care Support Group' on Facebook. Click Link: Emma also supports her own charity which can be found here. We wish Emma all the best for her charity bout! 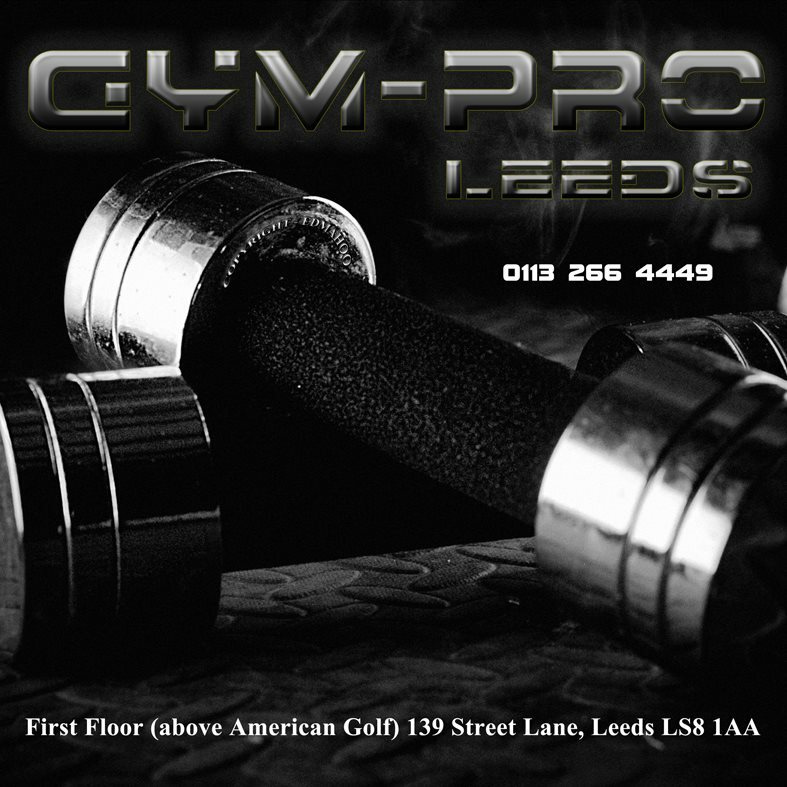 has reached 1000 followers on Twitter. and who are full of talent, but most of all are interested in his work. 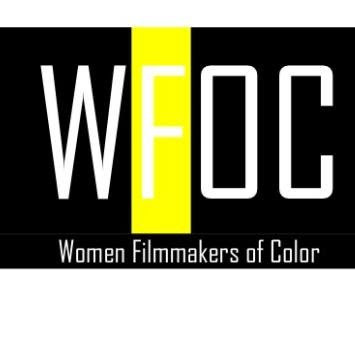 Women Filmmakers of Color and their allies. •Diversity is Film in Living Color•"
Thanks, you win a Jet Slade T-Shirt! 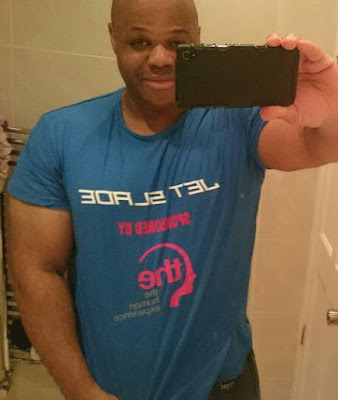 Director Edmahoo's selfie modelling a Jet Slade T-Shirt. We have already been in contact and your prize will be in the post asap! Not seen our Trailer for Jet Slade yet? WHY SOME SCENES DON'T MAKE THE EDIT? 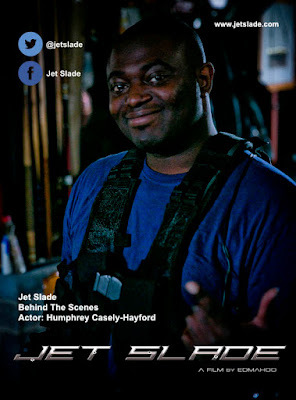 It's not just in the big Hollywood blockbuster movies that we don't get to see that deleted scene, it also happens on the small screen, and let's not forget the indie film maker too. With DVD and Bluray containing special features and deleted scenes, you can't help but ask yourself, "Why was that scene cut from the film?" Maybe the pacing wasn't right or it just didn't fit, or the storyline and script had changed slightly? The director has a vision when making a film and it's usually his decision when and why scenes are cut from a film. It's only until you start making your own film you realise the reasons for this. 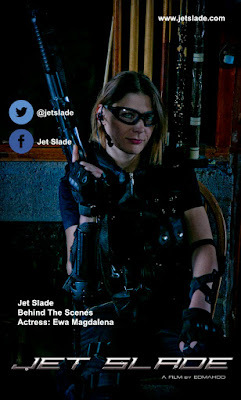 Making Jet Slade has been a roller coaster of a ride and an experience. I've come across countless hurdles, but I've used this to my advantage and learnt from and overcome it. Sometimes these things happen that are totally out of your control and that's it, learn to accept it! A really good example of this is... The cast had rehearsed really hard for weeks for a scene, the location was arranged, the costumes were all organised and the date was set. The cast were excited to film as it was a very dramatic scene. Two days before we were supposed to film I was let down for the location! My heart sunk... If you've every been in this situation then you'll know that feeling. The thought of having to ring the cast to tell them, "All their hard work they'd been rehearsing for for weeks was going to be rescheduled for a later date." This definitely was not going to happen! To cut a long story short, I managed to sort out a new location. I converted my garage which worked out even better than expected. Well, the moral of this story is... Whether it's an actor, storyline, script, location or film shoot. Always have a backup plan, you never know when that 'what if' will happen. The advantages of writing, producing, directing and editing this feature has really been a test of my patience, endurance, people skills, temperament, time-keeping and let's not forget... keeping a hold of my sanity... It takes a special kind of person to take on a big responsibility, so if you feel like you're in over your head, do your research and find people who can help and fill the weaker points you think you may struggle at. You're on your own but you are your own boss, you answer to yourself (this can also be an advantage too)... There's no time for rest, the responsibility, organisation and planning is all yours so be prepared to work hard as it can feel like a long haul... But don't give up as it will prevail in the end, there is a light at the end of that tunnel. Having all of these skills and a vision of how you want your film to look is crucial, don't go straight into a project without having no idea of what you're doing. 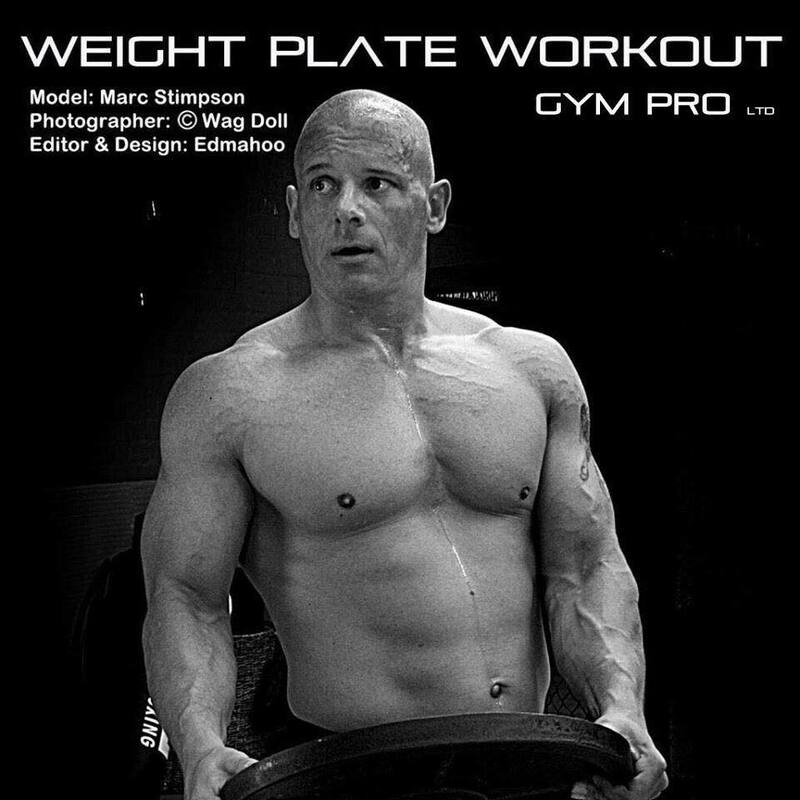 Planning and preparation is key and most of all, be passionate about your project. Don't get sidetracked, keep focused! 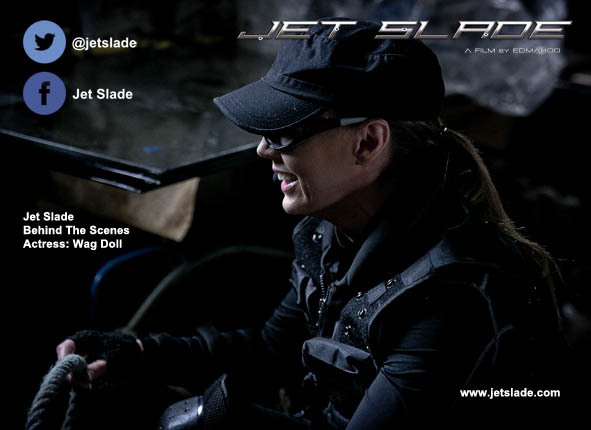 Unfortunately due to a few changes to the storyline of Jet Slade, this scene had to be cut from the film. Although part of it featured in the trailer and was very effective, it won't be featured in the film. A lot of hard work goes into the preparation of filming a scene and it can sometimes seem like a big let down for the cast involved, but you have be harsh and make that decisive decision and think about the storyline and the direction of the film. This is the 'not so nice' part of being a director, but you have to get used to it. In this scene, an agent is tuning into a conversation... His partner is wearing a wire of which his cover has just been blown. The agent in the car hasn't realised this because he's being distracted by a beautiful lady who turns out to be an assassin. (The scene is supposed to inter-cut with another scene at the same time). How we used the Rotolight to light the scene. 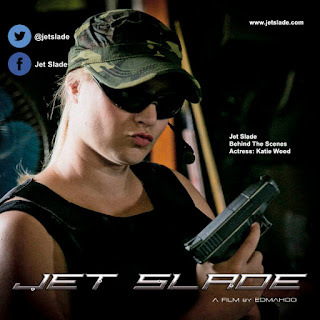 Jet Slade is a dark action thriller and director Edmahoo wanted to use as much natural lighting as possible. This scene was filmed on the outskirts of Leeds city centre, where there are some amazing locations to shoot. The Rotolight came in handy for this scene as it lit the area perfectly. 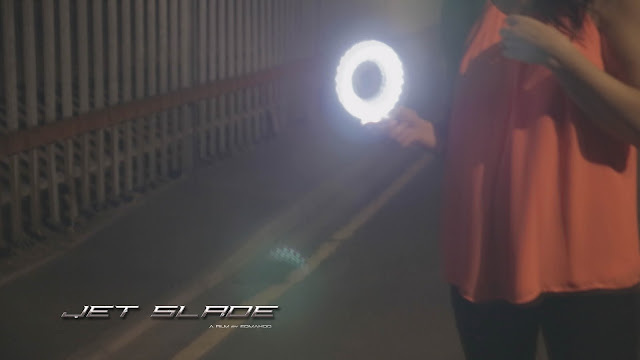 You can see how the Rotolight was used in this next clip 'The Cutting Room Floor: Behind The Scenes - Deleted Scene. The Rotolight is a vital piece of lighting kit director Edmahoo always has in his camera bag, it's very light to carry, easy to use, the batteries lasts for about two hours if used constantly, it's bright and gives that really nice illuminated white light effect enhancing the scene. It's tough and durable and has been dropped a few times and is still going strong! 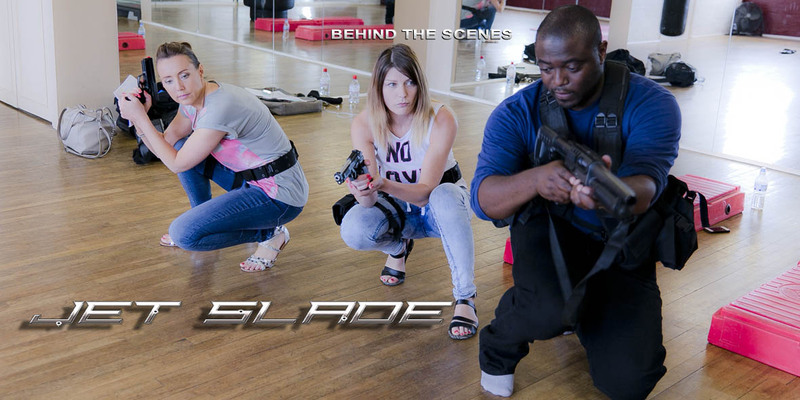 Just to recap: A lot of time, effort and hard work goes into filming a scene: Planning, organising rehearsals, story lines, scripts, costumes, locations, props, lighting, filming, editing, visual fx. So it's very important to plan your scenes. It doesn't matter if you're working on a huge or small budget, a scene can still be cut from a film. 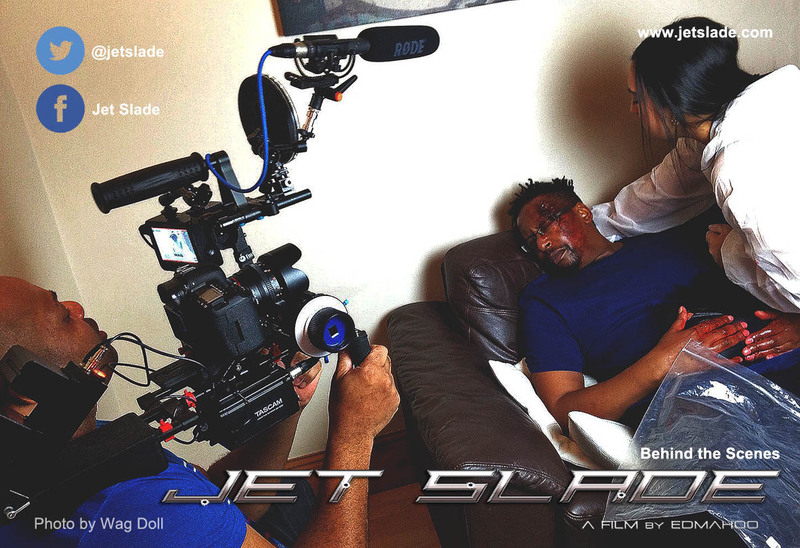 Look out for more blog post by director Edmahoo and follow him on his journey 'Jet Slade'. thanks for taking the time out to read this post.